Good morning to every body !!! 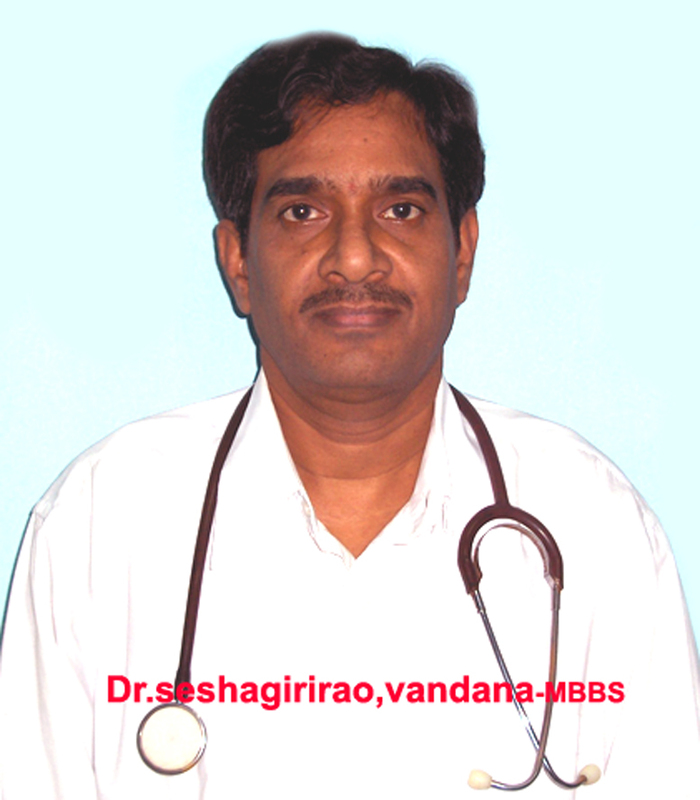 I am Dr.Seshagirirao.MBBS,DHM,DAc,MAMS.. doing medical practice with my own nurshing home"VANDANA NURSING HOME(formalyVIJAYALAXMI HOSPITAL)" at Nakka street(Jn),C.B road : : Srikakulam Town_Srikakulam dist.(AP)_India. Date of birth : 11-April-1953. Residence : Vandana Nursing Home , Nakka St. C.B road .Srikakulam Town. 1st-5th class :SE school Gollalavalasa. 5th-10th class: ZP high school--Polaki . MBBS : AMC Visakhapatnam . 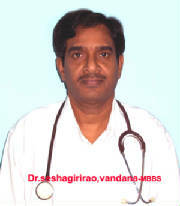 Son....Dr Kiran kumar - MBBS,MD-Gen.
Son-in-law .. Dr.Sarath Chand MBBS,MD(Radilogy).